through your hair before blow drying and styling. sebum, fatty acids and environmental residues from the scalp skin and hair. help to provide hair resilience and control moisture balance. botanicals that help to thicken each hair strand and refresh the scalp. 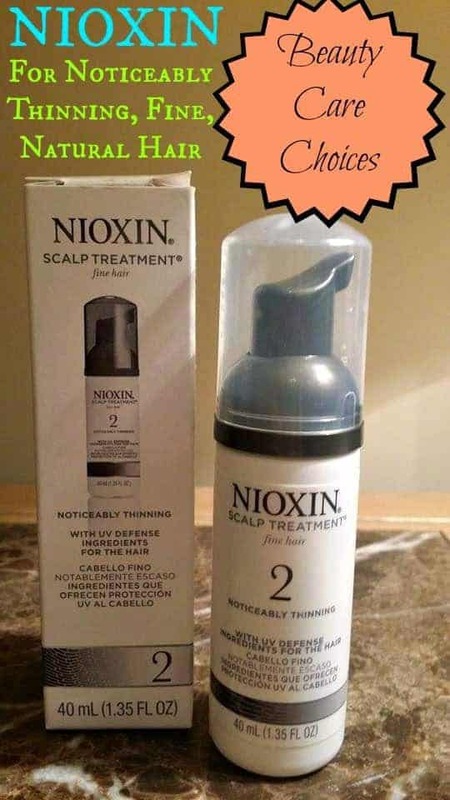 I use Nioxin Scalp Treatment once a day. Other foams that I have tried before would leave my hair stiff with a greasy look. I always had to use them at the end of the day because I was unable to style my hair after applying the foams. With Nioxin Treatment, I was able to use before styling without any problems. It does leave my scalp red for a short period of time but goes away quickly. I have not had any complications with my skin itching or flaking. After applying the foam, I combed through my hair and then blow dried. The treatment actually gave my hair volume. So far I have been thoroughly impressed with Nioxon. 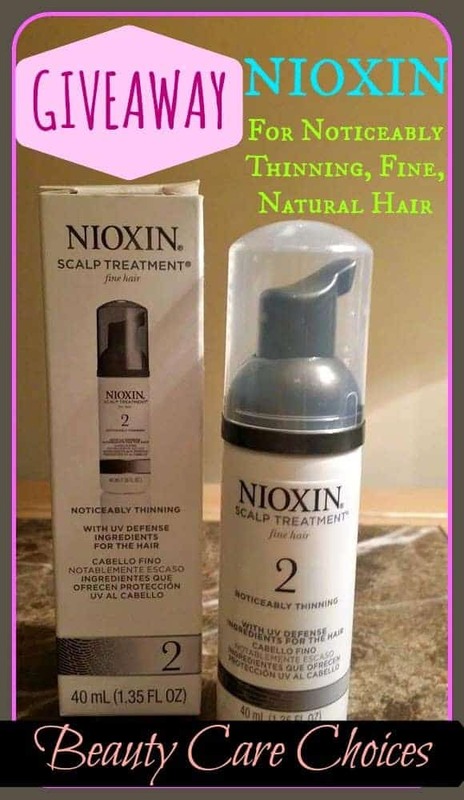 Nioxin Scalp Treatment comes in three different sizes: 1.35oz, 3.38oz, and 6.76oz. More than 70% of users notice Thicker, Denser-Looking Hair in Just 4 Weeks! Beauty Care Choices is running a Special on all Nioxin products. Click HERE to see all the available Nioxin products and choose the right one for you. 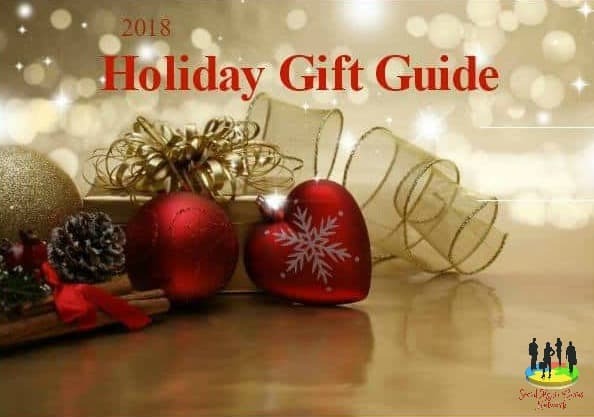 Care Choices is offering my readers with a GIVEAWAY! or another winner will be picked. 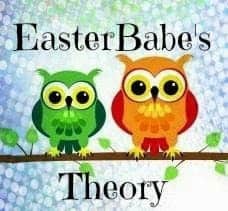 only use these images if you intend on giving EasterBabe’s Theory credit. Please do not alter the images in any way. My favorite hair styling treatment is using my flat iron to straighten my hair. Which doesn't help my thining hair. I need Nioxin in my life!!! any of them I win . I usually keep it simple but I do love to use my flat iron once in awhile. I have to have my leave-in conditioner and leave-in oil treatment. i use the nioxin every day treatment as well as the treatment after you wash your hair, i also use argan oil on my ends.